When we purchased our home, we inherited a lot of items (I think someone got tired of packing). 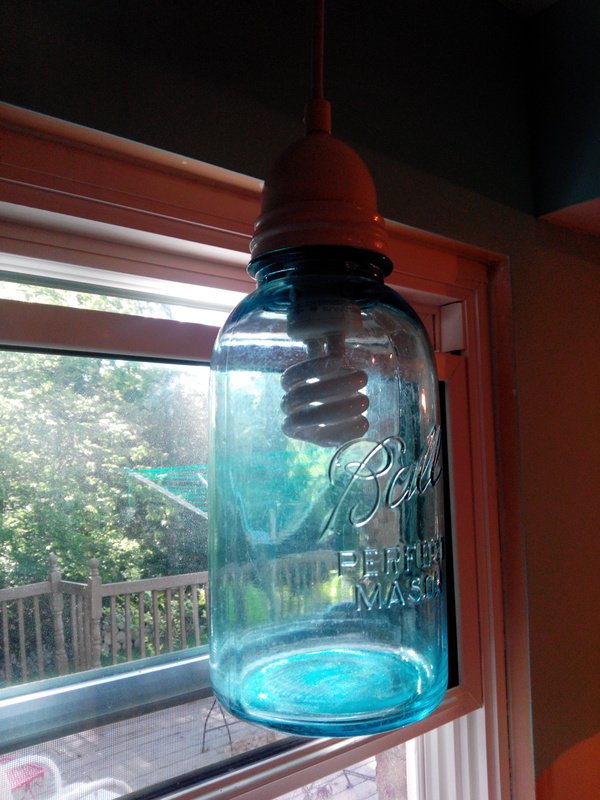 One of those items was this old mason jar. I have one of these from my Grandma but I didn’t want to make it a part of the house. So I thought since this mason jar was with the house when we purchased it, it should be here when we leave. Not that I plan on moving any time soon. I hope! 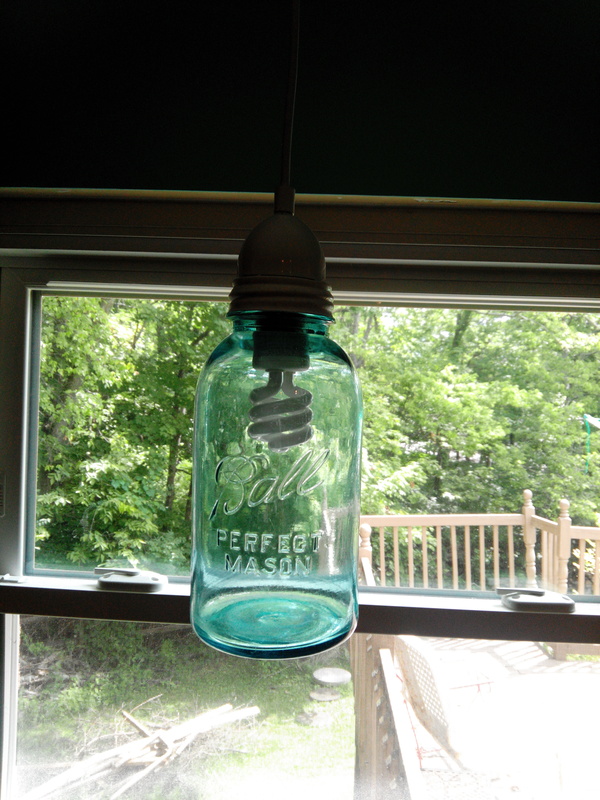 I went to one of our local home improvement stores and purchased a Westinghouse light kit for pendants in white. I remember it didn’t cost much but I can’t think of the cost right off hand. I took the lid and drilled a hole in it then I took wire snips and cut out a hole big enough for the light ballast to go in. I also spray painted the lid white because I wanted it to blend with the light parts. 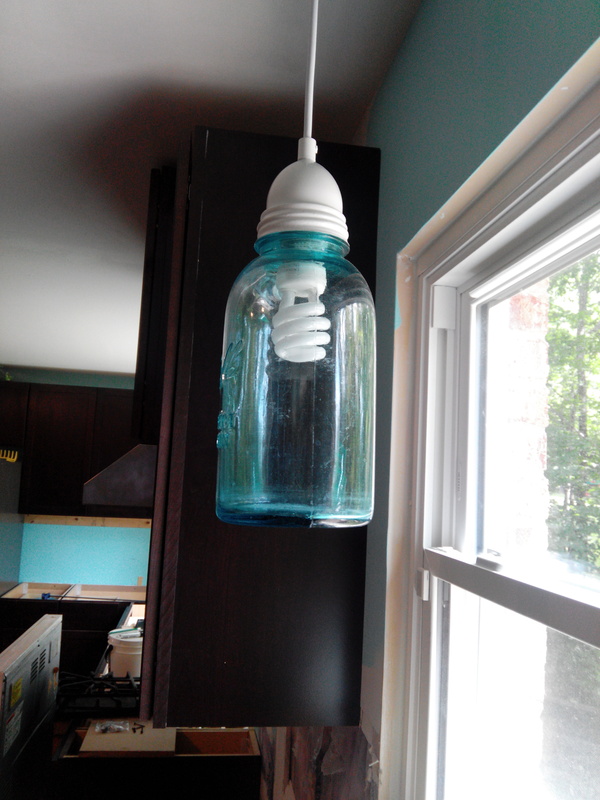 Then my husband did the hard job of hanging the light over our sink. These photos are not the best. I am not good at indoor lighting. I will have more photos after out kitchen remodel is complete. The background may look terrible because we are still in construction mode. This entry was posted in Cottage Crashers, Decor, DIY, Home, Photography and tagged Decor, DIY. Bookmark the permalink.